Who’s Behind the Record Plant Diaries? Martin Porter is an author, journalist and publisher who began his career as a technology writer/reporter in the mid-1970s (the period of Record Plant Diaries) for Rolling Stone, GQ and Premiere magazines. 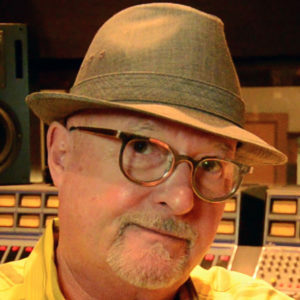 As editor and publisher of recording and musical instrument publications Pro Sound News, EQ, Guitar Player and Surround Pro magazines, he was one of the leading chroniclers of this golden period in music and audio technology. He is co-founder and Executive Director of two media & entertainment industry associations: the Sports Video Group (SVG) and the Media & Entertainment Services Alliance (MESA). David Goggin, AKA Mr. Bonzai, is an award-winning author, photographer, and music journalist. He has written over 1,000 articles for magazines in the U.S., Europe and Asia. 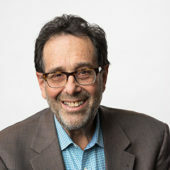 His published books include ”Studio Life” (Mix, 1984), “Hal Blaine and The Wrecking Crew” (Mix, 1992), “The Sound of Money” (Focal, 2000), “Faces of Music” (Cengage, 2006), “Music Smarts” (Berklee Press, 2009), and “John Lennon’s Tooth” (BookBaby, 2012). His articles and photos have appeared in Rolling Stone, The New York Times, Los Angeles Times, Billboard, Mix, EQ, Keyboard, Daily Variety, Hollywood Reporter, Los Angeles magazine, Disney Channel Magazine, Sound & Recording, and Relix, among others. Goggin has been involved for years with the NAMM organization, producing short films about industry legends and has hosted the annual Technical Excellence and Creativity (TEC) Awards show. With Ed Cherney and Chris Stone, he was a co-founder of The Music Producers Guild of the Americas, which is now the Producers and Engineers Wing of the Recording Academy (Grammys). Goggin is also a press agent in the music industry and has represented numerous recording studios, manufacturers, and trade organizations such as SPARS and the World Studio Group.